A petrochemical giant’s legal challenge to the Scottish Government’s “ban” on fracking is being heard at Scotland’s highest civil court. Ineos and Aberdeen firm ReachCSG are taking Scottish ministers to court over their decision to convert a moratorium on the controversial gas extraction technique into an indefinite, effective ban. 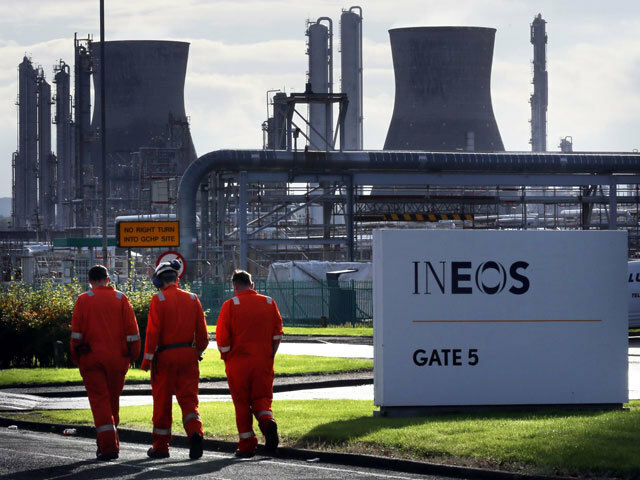 Ineos is asking the Court of Session in Edinburgh to declare that Scottish ministers acted unlawfully in doing so, arguing that they exceeded their powers and lacked the legal competence to impose such a ban. The Scottish Government said at the time that it made the decision in light of “overwhelming” public opposition to fracking. Environmentalists who have intervened in the legal case maintain that the technique would be bad for climate targets and has little economic benefit. A moratorium had been in place in Scotland since 2015 and in October last year energy minister Paul Wheelhouse announced that planning regulations would be used to “effectively ban” it by extending the moratorium “indefinitely”. The judicial review hearing, expected to last three to four days, got under way before judge Lord Pentland on Tuesday. James Mure QC, for the Scottish Government, urged the court to reject the legal challenge. He said: “I think I can safely say that parties are agreed this case does not concern the merits or demerits of the development of unconventional oil and gas in Scotland. He suggested ministers had simply announced a preferred stance on the matter and that the policy-making process on the issue should be allowed to continue. “The court ought to recognise that what ministers have done is announce a preferred position,” the QC said. He added that policy had been “tightening” in the run-up to 2017 as “the question of oil and gas of unconventional means was becoming a matter of concern”. Announcing the legal action in January, Ineos said the decision by ministers was a “major blow to Scottish science and its engineering industry, as well as being financially costly to Ineos, other businesses and, indeed, the nation as a whole”. The company, which owns two fracking licences in Scotland, said it would result in Scotland missing out on economic benefits, including about 3,100 Scottish jobs and £1 billion for local communities. The firm is asking the court to declare that it is “unlawful for Scottish Ministers to use their powers under planning legislation to introduce a ban on (fracking) in Scotland” and is seeking unspecified compensation. Environmental charity Friends of the Earth Scotland (FoE Scotland) has been granted a public interest intervention in the case and believes that the process to ban fracking was “robust and fair”. Speaking outside court, FoE director Dr Richard Dixon said: “This is the first time that an environmental intervention has been considered in a judicial review in Scotland. “We thought it was very important to do that because our major concern about fracking is about the impact on climate change.